Illinois' 18th State Senate District issued the following announcement on March 21. 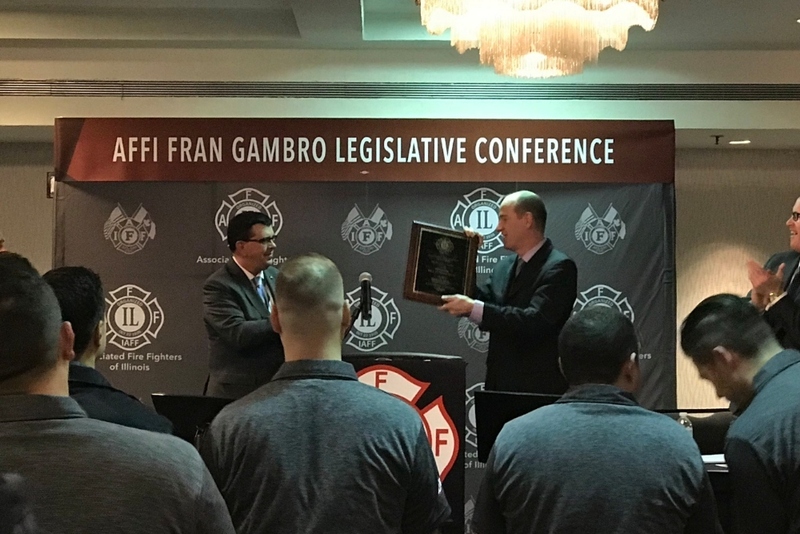 State Senator Bill Cunningham was named Legislator of the Year by the Associated Fire Fighters of Illinois (IFFA) on Wednesday for his advocacy on behalf of firefighters and other first responders in the Illinois State Senate. Cunningham has worked on behalf of first responders in Springfield since he first joined the General Assembly in 2011. Last session, he introduced legislation to protect Chicago firefighters’ pensions by allowing them to transfer credit from their previous service to their current pensions. Want to get notified whenever we write about Illinois State Senate District 18 ? Next time we write about Illinois State Senate District 18, we'll email you a link to the story. You may edit your settings or unsubscribe at any time.